For a lot of people, their daily oral routine usually goes something like this: Brush your teeth with a toothbrush and a fluoride toothpaste, floss, and rinse your mouth with mouthwash. However, mouthwashes have had their own share of controversy, and the jury is still out on whether they are a necessary part of your morning routine. So what do dentists have to say about it? Do they recommend mouthwash? Turns out, it depends on several factors including your age, what you’re using the mouthwash for, and the type of mouthwash. All dentists agree that any child under the age of six should never use mouthwash. This is especially true if the mouthwash contains alcohol. Children who are below the age of six are more likely to swallow the liquid, and this could be harmful to their health. 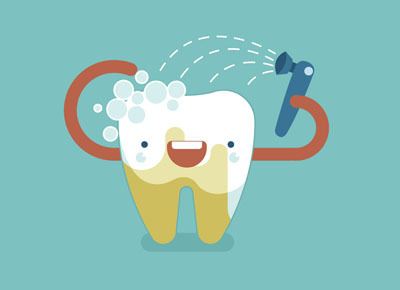 All of these different types of oral rinses are designed to solve very specific dental issues. Your dentist may recommend some of these products or give your other options that could offer a better solution. For example, if you want to whiten your teeth, teeth whitening rinses can remove some stains over time. However, in-office bleaching is a lot faster and more effective. If your breath is bad and you want to use a cosmetic wash, an oral professional may recommend getting to the root of the problem instead of masking it. For mouth ulcers or canker sores, your dentist may advise you to save the $5 and use a homemade saltwater solution to rinse your mouth. If you have cavities or are at a high risk of contracting gum diseases, your dentist may recommend an antibacterial mouthwash. Mouth rinses with fluoride can also help ward off tooth decay. In fact, dentists often advise pregnant women to use an antiplaque or antibacterial oral rinse, as studies show that it reduces their risk of going into early labor. However, you should always remember that an oral rinse is not a substitute for proper dental care. Even though cosmetic mouth rinses may leave your breath feeling minty and fresh, they do not fight the bacteria in the mouth that cause bad breath. Therefore, they simply mask the smell without targeting the root of the problem. It is always better to ask your dentist which type of mouthwash is best for you. When should you use mouthwash? Nobody knows your teeth better than your dentist. If you want to start using mouthwash, it is better to ask him/her which type is best for you. Even if you do not use an oral rinse daily, your teeth will probably be fine as long as you continue to brush and floss twice daily and visit your dental provider regularly. Call (310) 923-7064 today to reach Manhattan Beach Dental Esthetics.